Page 6 and 7: Contents Authors Preface v xiii 14. GERIATRIC DISORDERS CMDT 201 7 59 . GERIATRIC DISORDERS CMDT 201 7 63 . 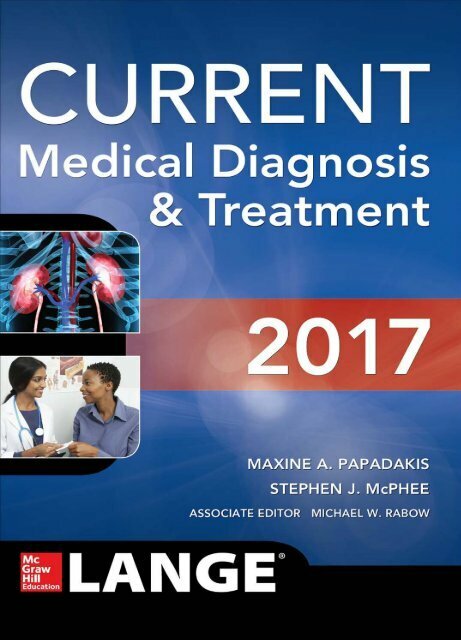 UROLOGIC DISORDERS CMDT 2017 963 D.
CMDT 201 7 1607 Cancer Patricia A. CANCER CMDT 201 7 1623 Table 39-4. CANCER CMDT 201 7 1625 Table 39-4. CANCER CMDT 201 7 1641 Table 39-5. CANCER CMDT 201 7 1671 Table 39-12.